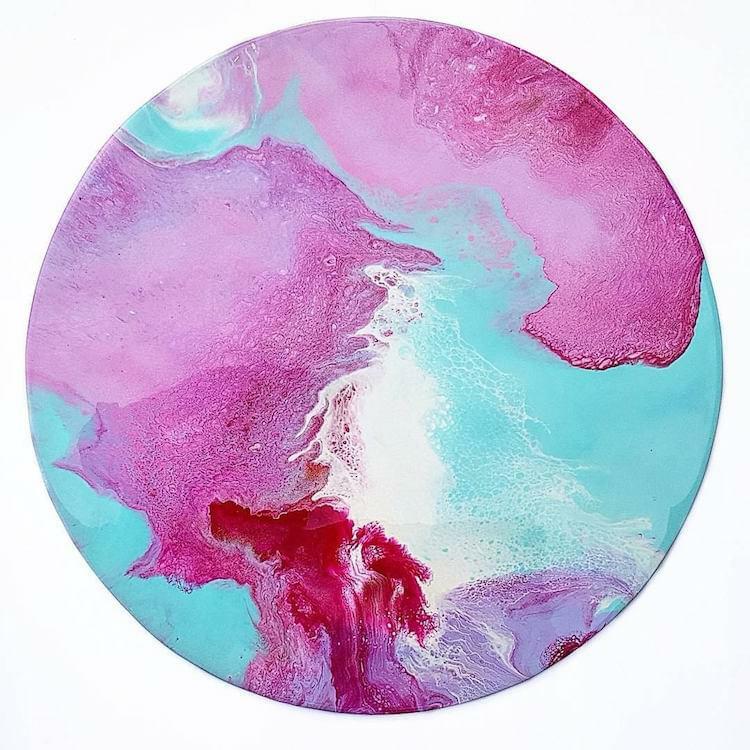 Artist Natalie Muir creates hypnotic works of abstract art that are a fusion of color and texture. 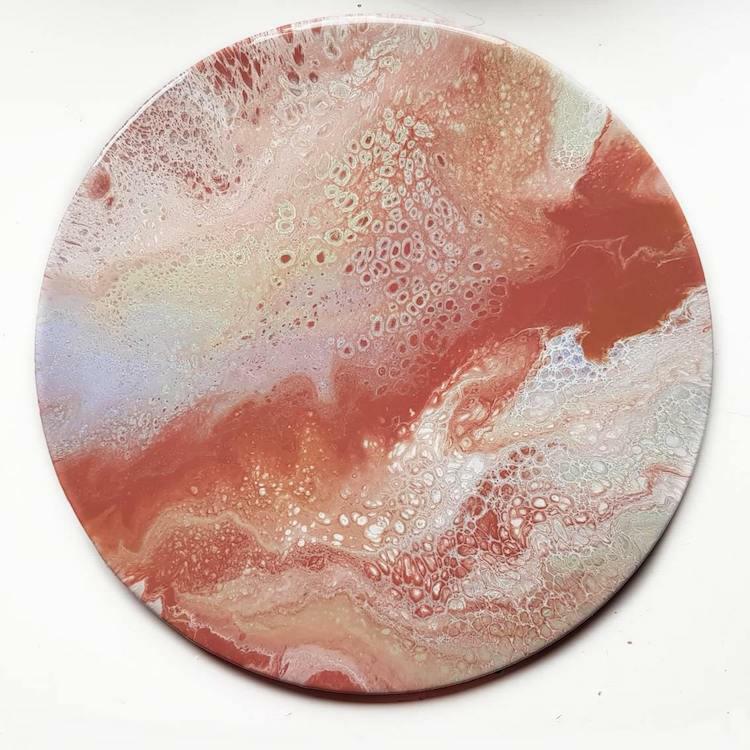 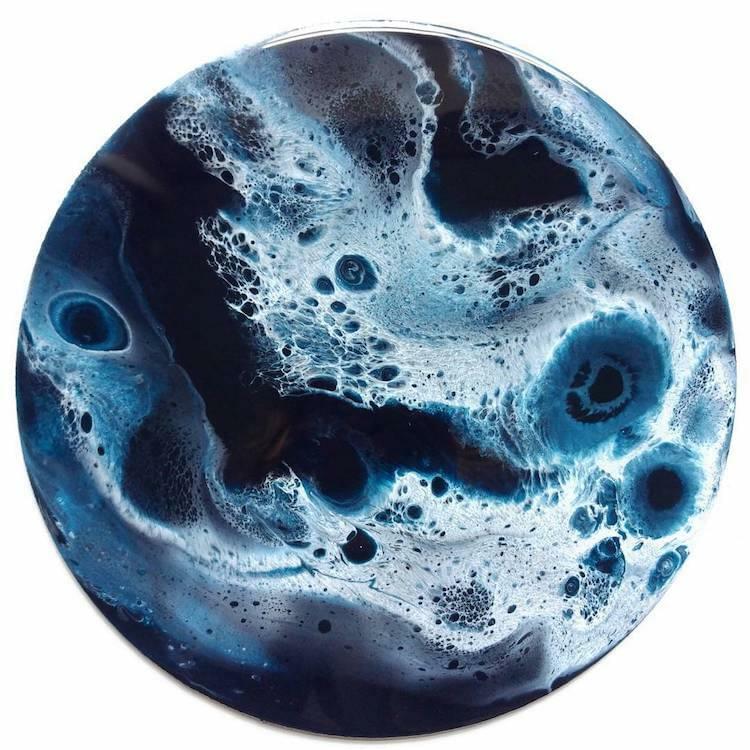 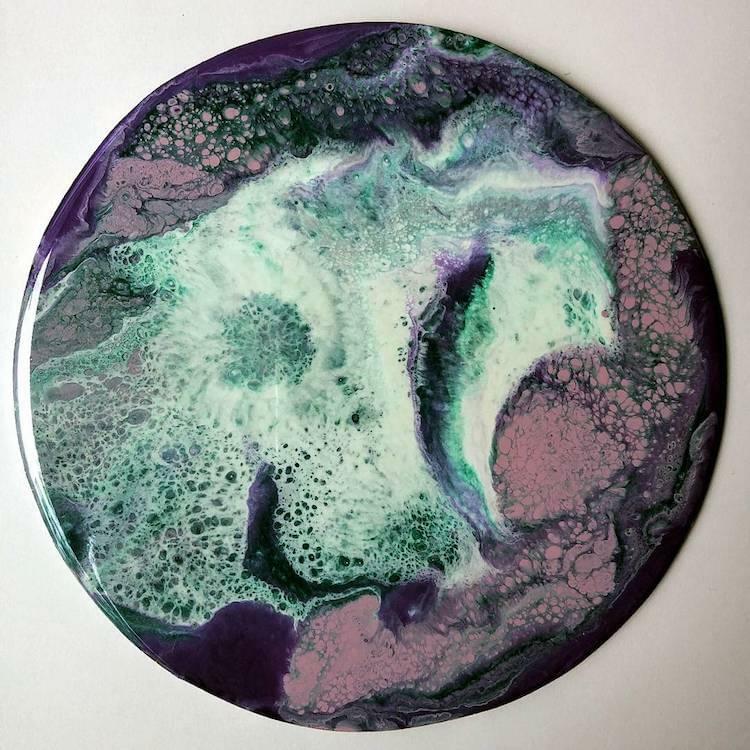 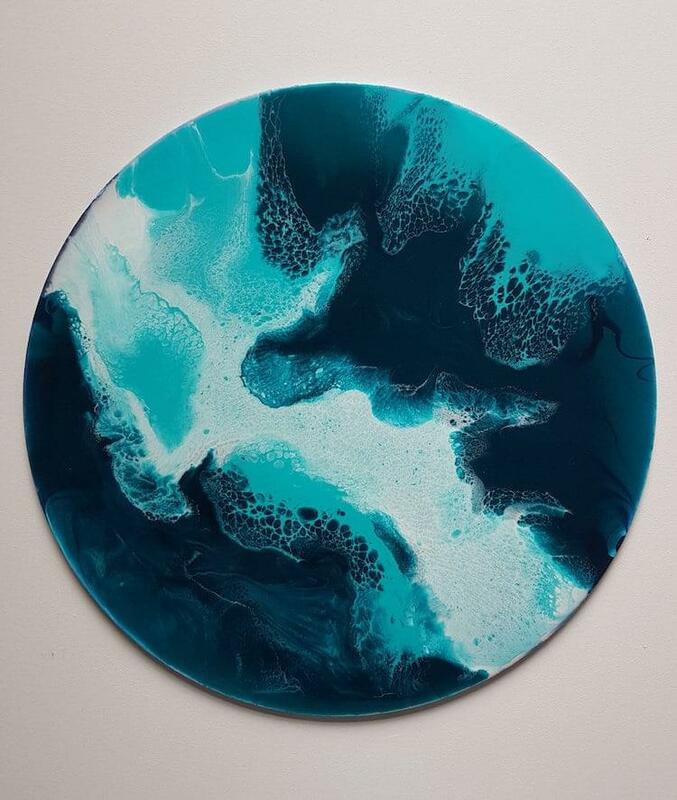 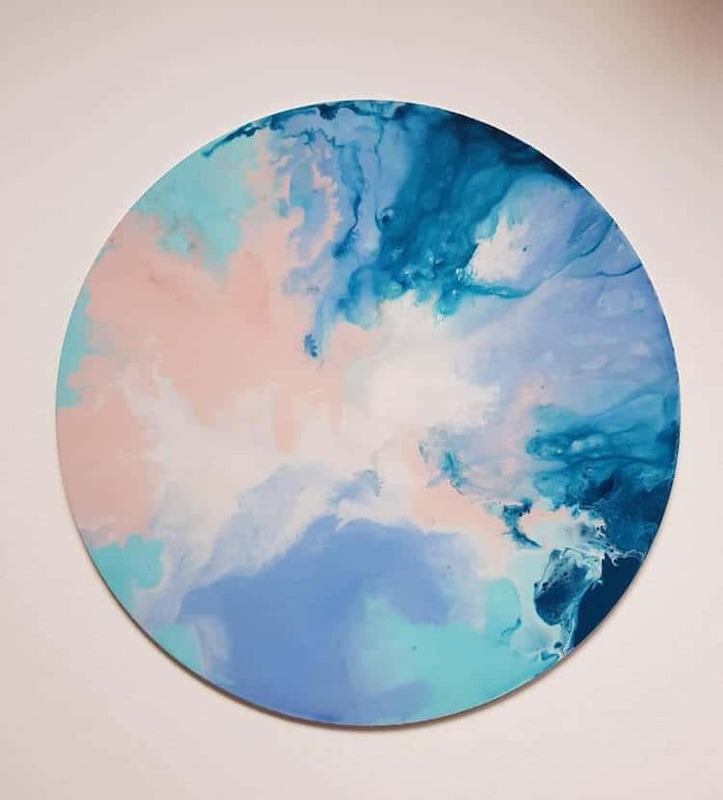 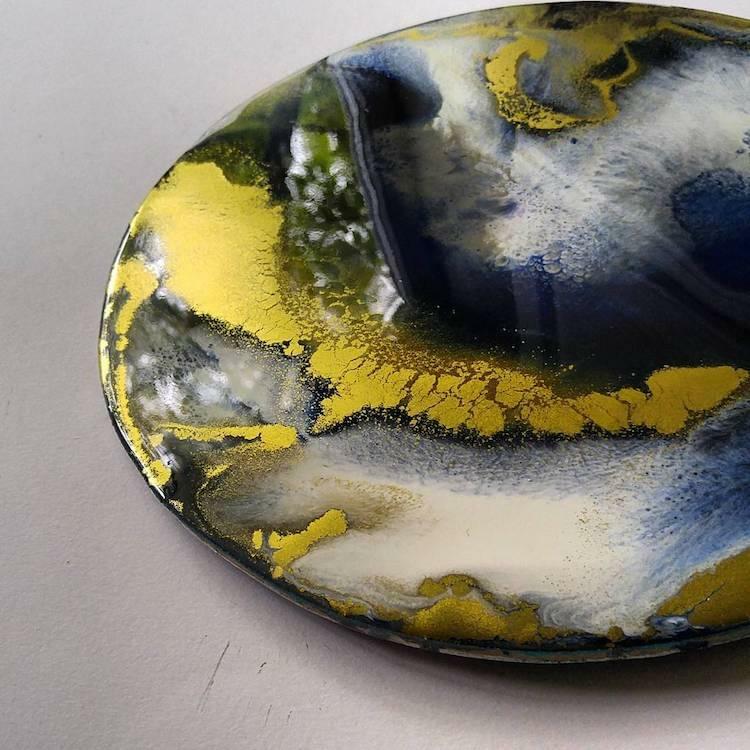 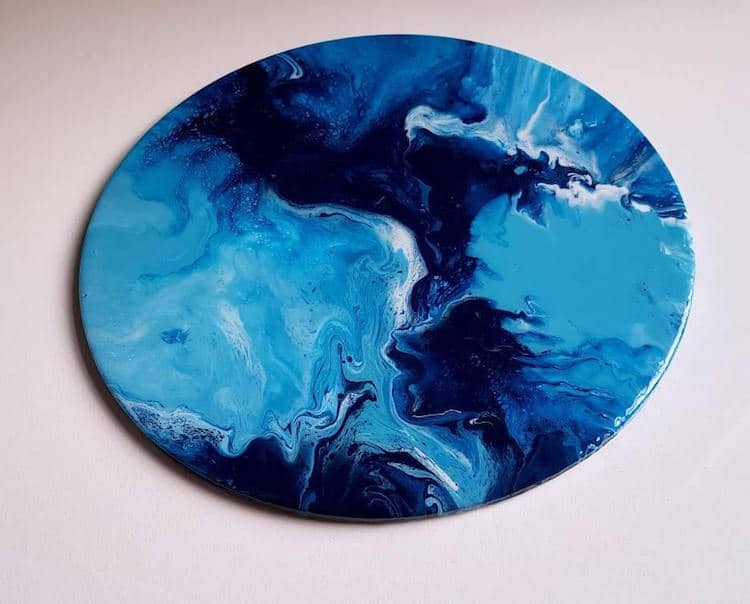 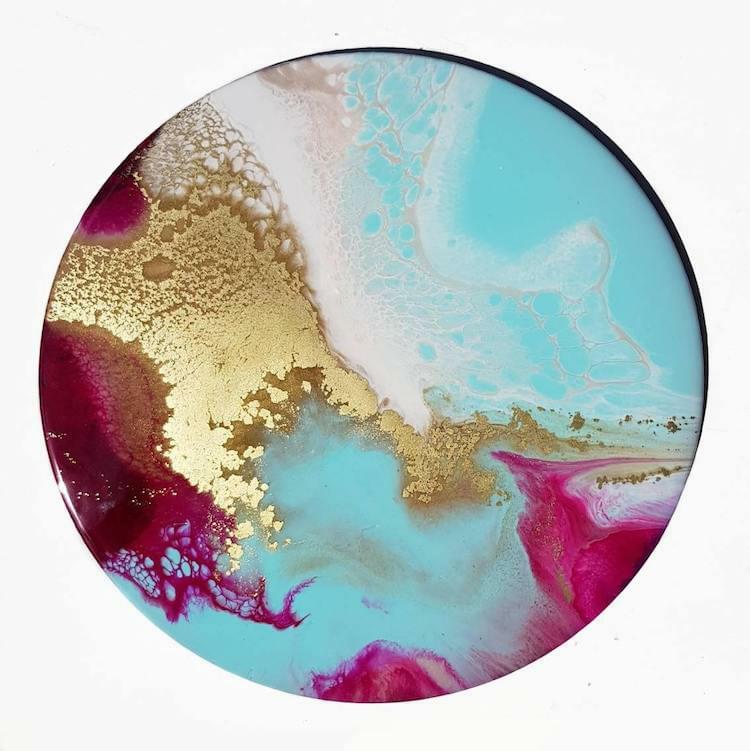 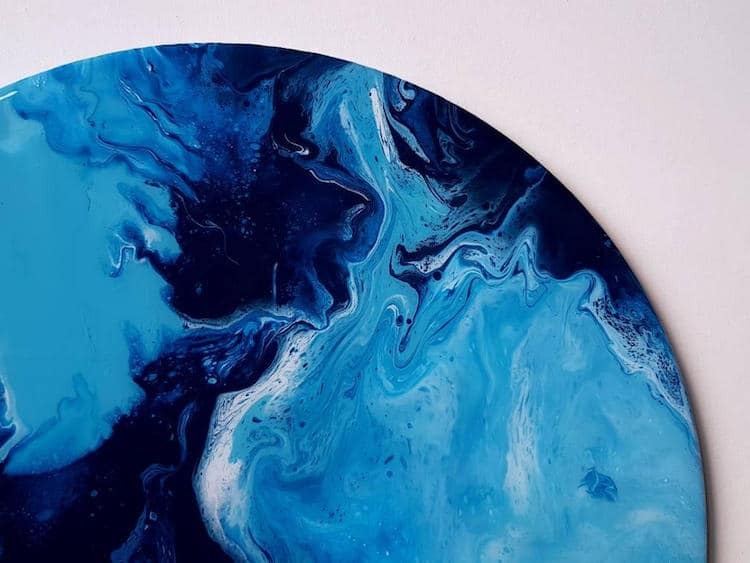 Created in a circular format, she uses a combination of fine pigments and art-grade resin to realize the multifaceted pieces. 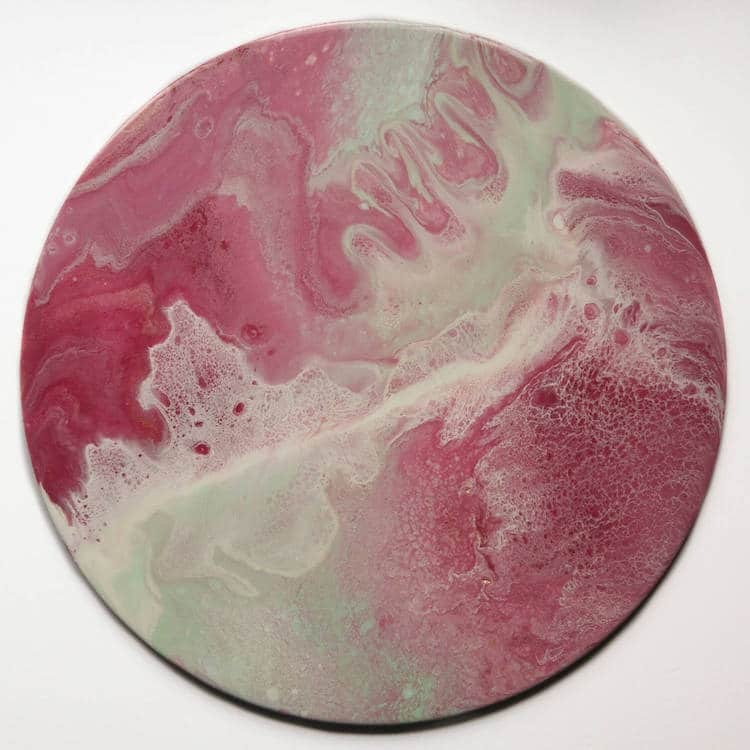 They are nearly 16 inches in diameter and within that space, an array of hues greet one another on a wood substrate. 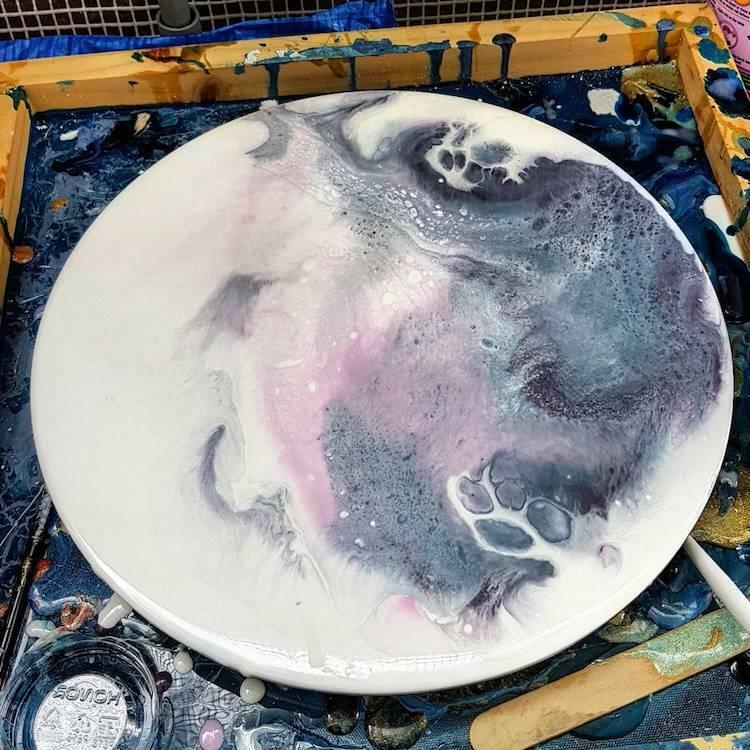 When this happens, the colors crackle, splinter, and swirl in ways that will mesmerize you — and nearly send you into a trance. 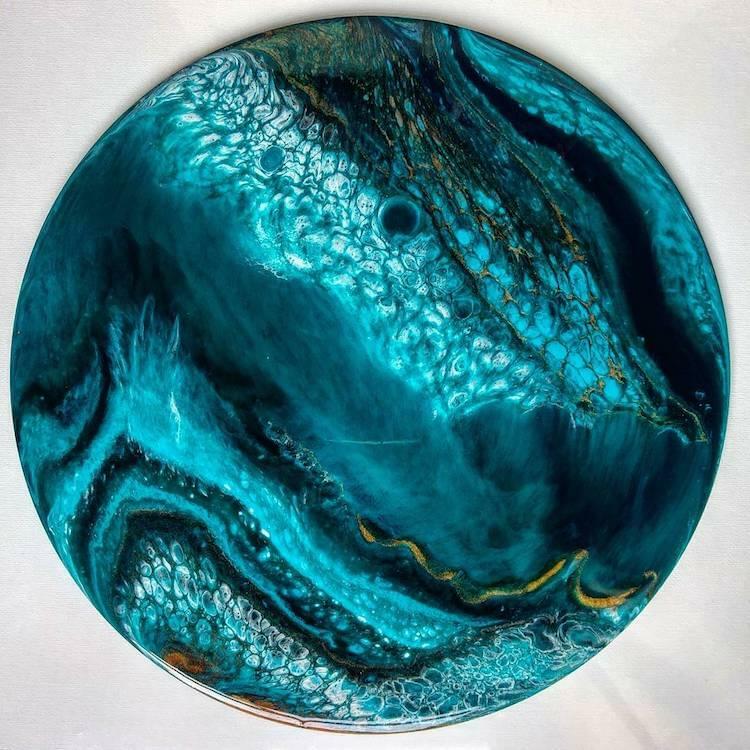 Muir’s approach to the resin artwork focuses on the “behaviors of colors” and “the thoughts they inspire and their relationship with human emotion.” Looking at these shiny works, we each have our own response to the pigments and how they’re used. 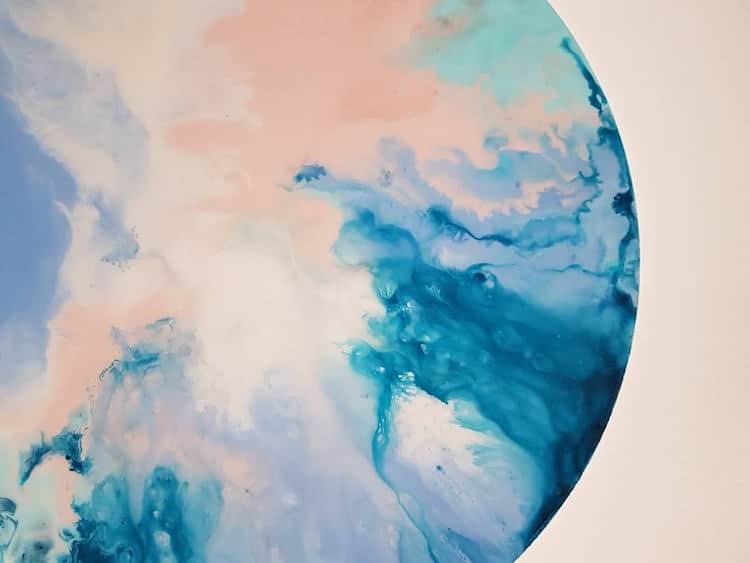 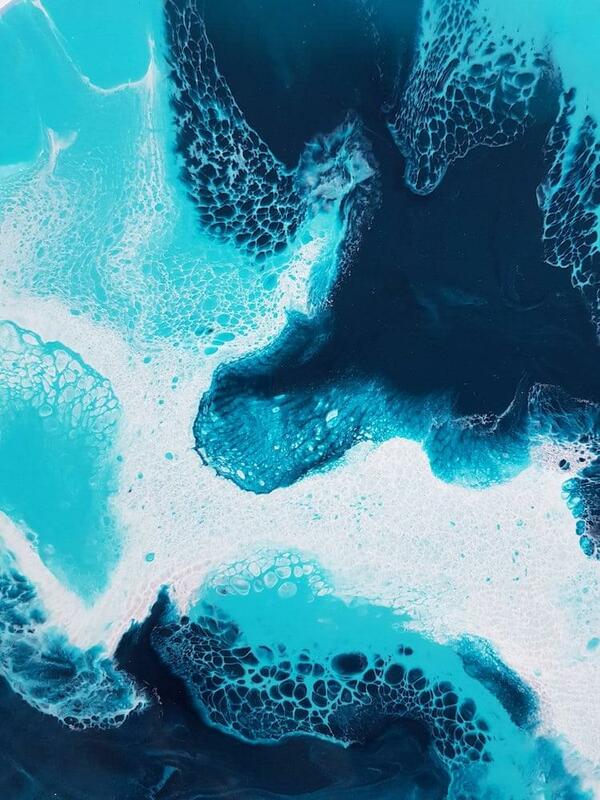 Within a single piece, some might see the splendorous universe, while others might see a tempestuous swirling ocean or even a rock formation; this difference is the beauty of Muir’s open-ended approach to her fluid paintings. 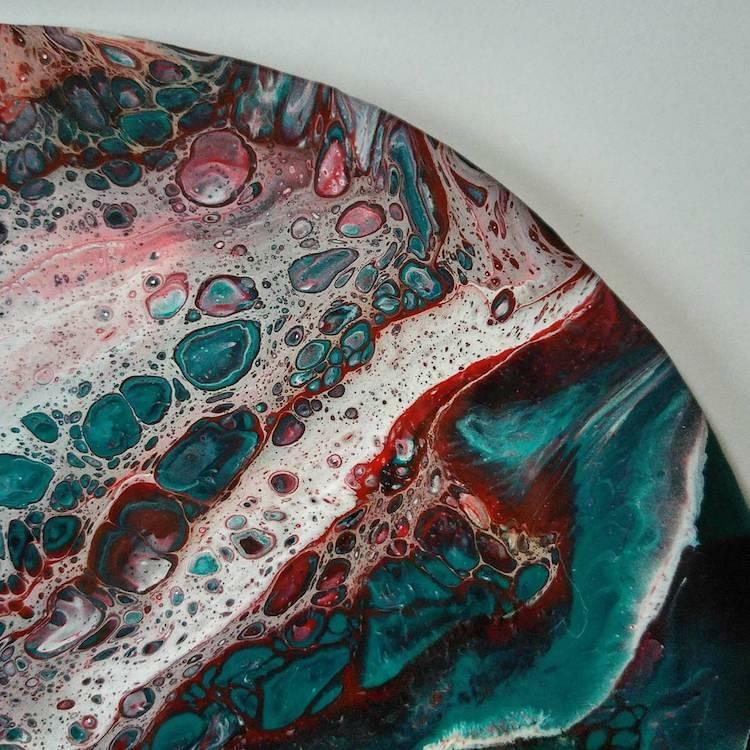 Each of these pieces is felted on the back and ready to hang on your wall. 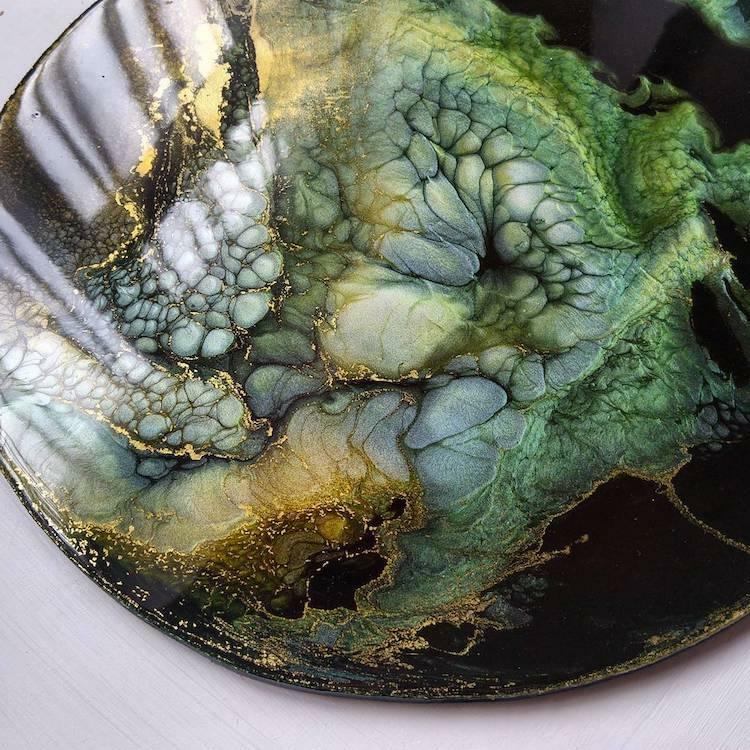 She sells her work through her Etsy shop — many of which are now on sale.